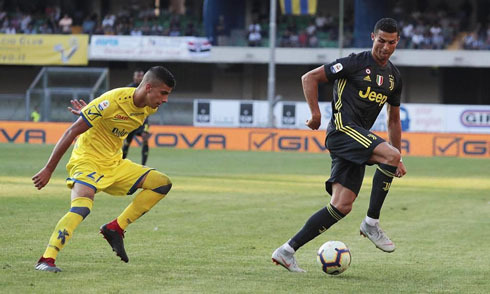 Juventus completed their first fixture of the Serie A this season, as they travelled to Verona to face Chievo and defeated the locals by 3-2. Cristiano Ronaldo didn't score, but the Italian champions found alternatives to beat their opponents tonight and collect their first 3 points in the league. 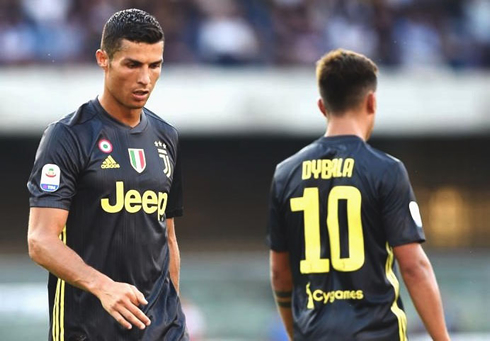 Well, that match certainly didn't go to plan, but Cristiano Ronaldo was a victor on his debut in Serie A, as Juventus held on to defeat Chievo 3-2 after a thrilling encounter in Verona. Ronaldo didn't get his debut goal for his new club, but he played quite well and came close on a number of occasions. The Portuguese forward had a total of 8 shots, but only 4 of those were on target. It just wasn't his lucky day and he would probably be better of gambling his money in any casino biggest bonus he can find out there. He will now have to wait another week to get another chance, as Juventus faces Lazio next Saturday evening in their first game at home of this season. It was a massive media event and all eyes were on Juventus today. Within minutes, they were already up 1-0 as Sami Khedira was able to finish from close range after a downward header in the box from Chiellini. Bolstered by the first goal, Juventus began to push ahead and had a series of chances to seal the match. Cuadrado, in particular, was quite wasteful. But Dybala, Douglas Costa and Ronaldo looked good up top, a sign of things to come for Juventus. However, Juventus would begin to take their foot off the gas and Chievo capitalized. Stepinski scored a header before the half after a great cross from former Juve man Giaccherini. Then, in the second half, Chievo continued to frustrate Juventus and it was that man again, Giaccherini, baiting João Cancelo into a foul inside the box. He stepped up and buried the penalty giving the home side a shock 2-1 lead. There's a reason why Juventus are the reigning champions though and they showed their resolve as time went on. First, a corner led to an own goal by Mattia Bani, with Leo Bonucci causing trouble in the box before. 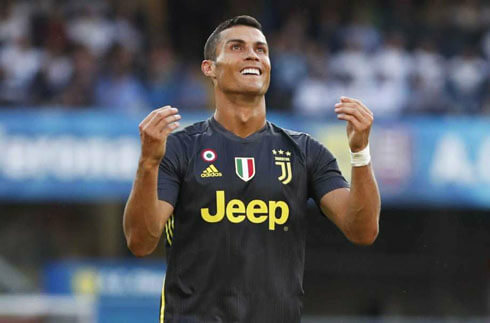 And then, there was some drama to end the match, as Juventus scored due to a Mario Mandzukic header but it was called back for a foul by Ronaldo on the keeper by VAR. However, just as it seemed Juve might miss out, substitute Federico Bernardeschi was able to finish in the box after some excellent work by Alex Sandro down the wing. It would finish 3-2. Ronaldo, despite not scoring, was a threat throughout and on another day he could have grabbed a couple of goals. Stefano Sorrentino in goal for Chievo was excellent, producing save after save to deny CR7. But Ronaldo gelled really well with his new team and he seemed even better when he was put on the left wing. Allegri will have to decide how he wants to use him, because as we know from his Madrid days, he does not thrive as the main center forward. Cristiano Ronaldo next game for Juventus is on August 25 of 2018 against Lazio. You can watch Juventus vs Lazio, Real Madrid vs Getafe, Brentford vs Sheffield Wednesday, Brighton vs Manchester United, Manchester City vs Huddersfield Town, and Burnley vs Watford, all matches provided from our soccer live game pages.